Southeast of the city, the Kuntur Wasi Viewpoint gives you a panoramic view of the whole region. To access the viewpoint, you can take the highway or walk the 620-step staircase. 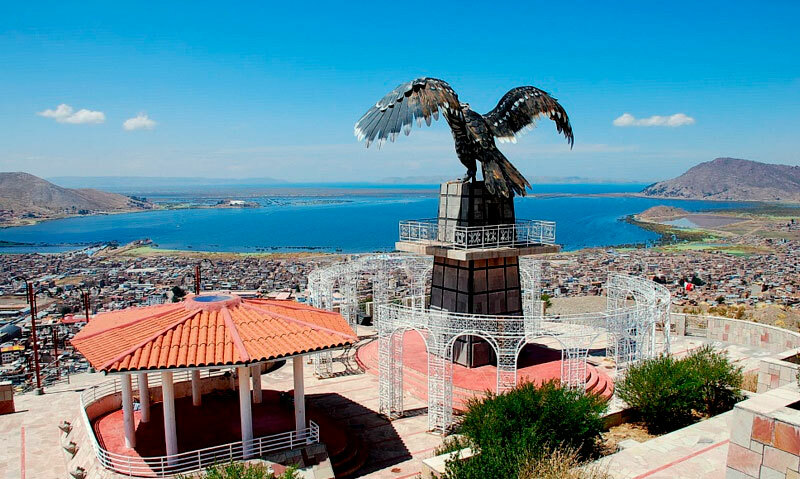 At the viewpoint sits a fascinating sculpture built in honor of the Andean condor. 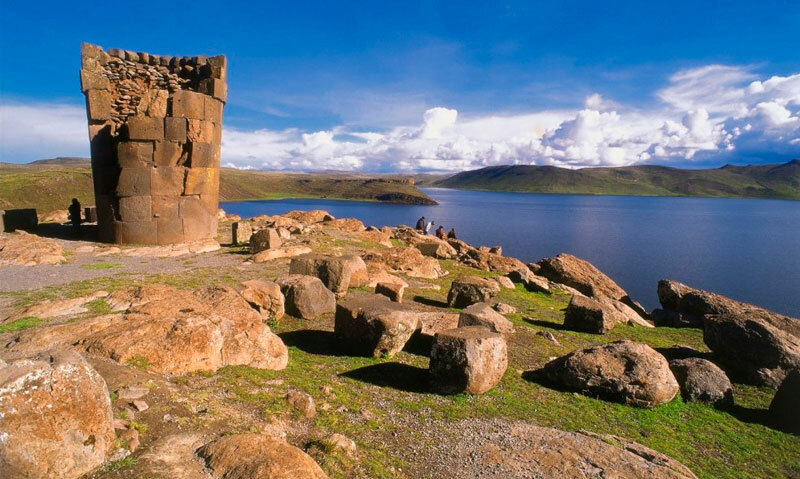 The Chullpas of Sillustani are located in the district of Atuncoya, on the shores of the city of Puno. It is one of the largest and most imposing cemeteries in the Americas. The Chullpas are buildings that once served as funerary monuments. Each building rises to a height of about 12 meters. Their shape is strange with the base being smaller than the top. 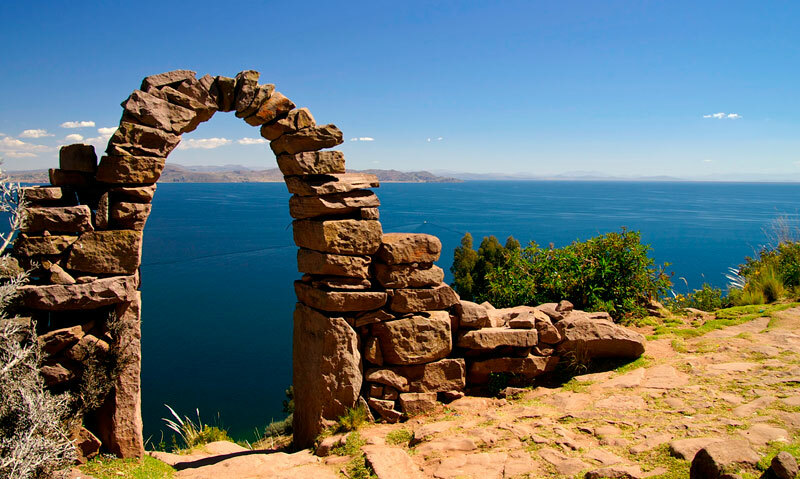 Lake Titicaca is the highest navigable lake in the world with a maximum depth of 227 meters. 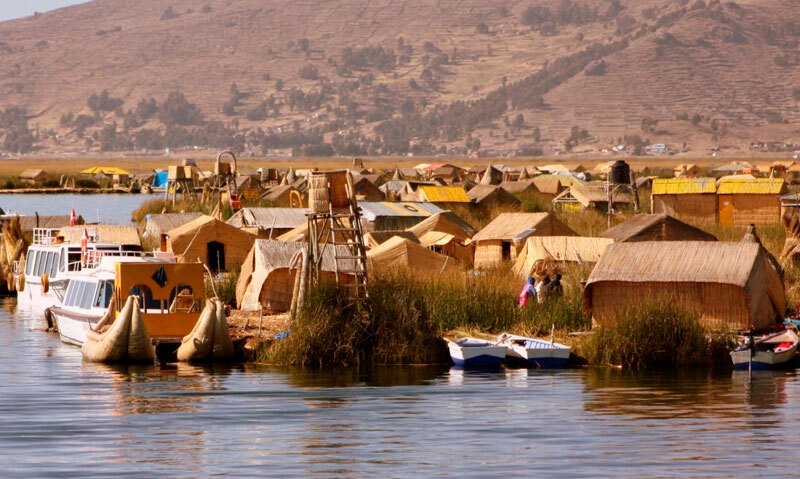 A variety of birds and endangered fish call Lake Titicaca home. The lake plays an important role in Inca folklore. Legend has it that from this lake emerged the first Incas, Manco Capac, and Mama Ocllo, the founders of the Inca Empire. 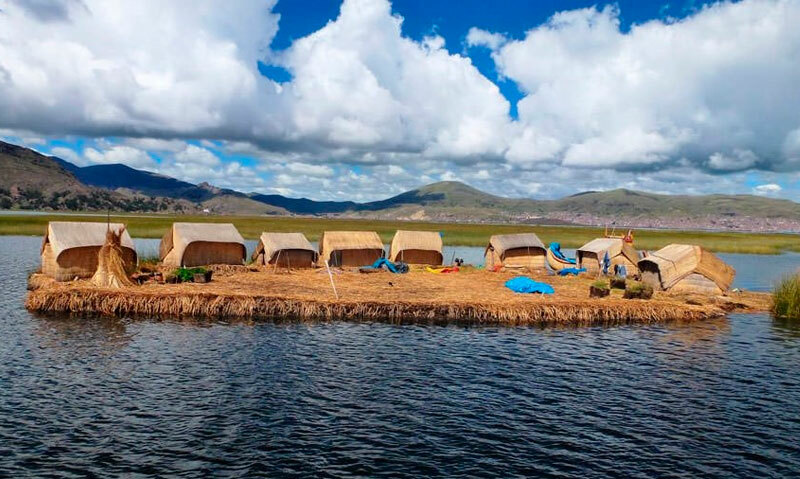 This island is located 30 km from the city of Puno and is distinguished for its pre-Inca relics. The people who inhabit Taquile still preserve the customs and traditions of Inca times. Bay of the Incas is a pedestrian passage with a view of the sukankas, or intihuatanas that once functioned as solar clocks. The relics belong to pre-Inca times and, according to archaeologists, were used to indicate where sacrifices and ceremonial acts would occur. These remains are located in Chucuito, 18 km from Puno. 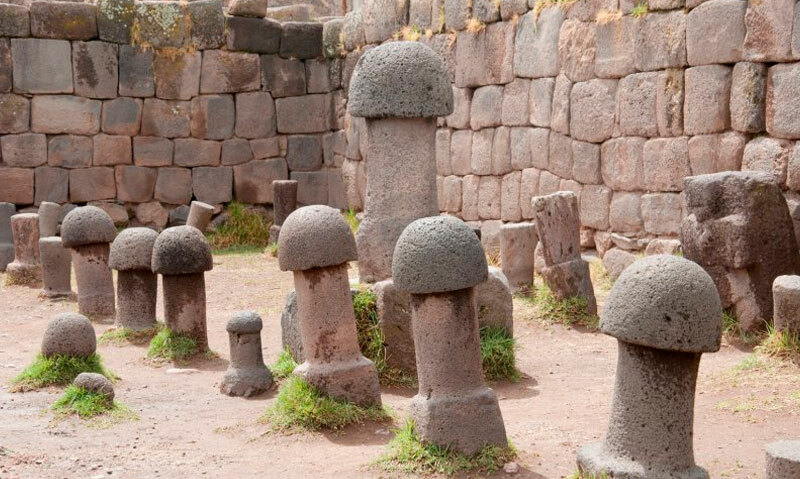 This place is part of what was once a Temple of Fertility created in Inca times. Puno is the 3rd most visited city in Peru. Its wealth of customs and tradition that take shape in the many different monuments of the region make Puno a top tourist destination. 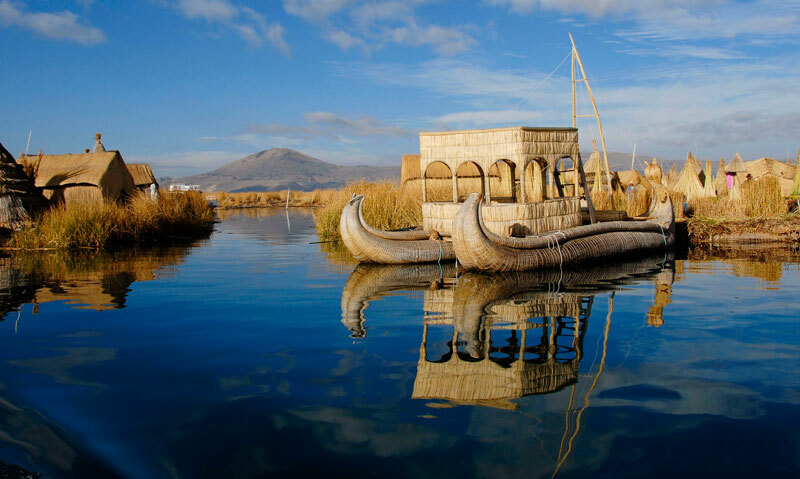 We encourage you to visit Puno for an experience you surely won’t regret. If you’re interested in seeing the price for this trip, please contact us or send us an email at info@explorandes.com and we’ll get back to you promptly.